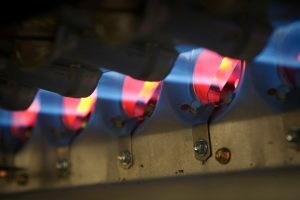 Winter has arrived and while the cool weather was slow in coming to Southern California, as it is most years, homeowners have likely been firing up their furnaces on a regular basis this holiday season. Furnace repair calls become very common when that happens — especially with family and friends over for the winter break and furnaces being put to the test accordingly. And whenever a furnace suffers a breakdown, the question becomes whether the repair job is worth it or if replacing the system is the best option. At the end of the day, only you the homeowner can make that call. Every furnace is unique and you likely have a better sense of when it’s on its last legs than any service technician. But there are some clear goalposts that can help you make an informed decision, and by following them, you can make sure you spend your money the right way when it comes to a defective furnace. Serious talk about replacing your furnace shouldn’t normally arise until after the warranty has expired. The warranty covers the cost of all of the original parts for the furnace if they should fail. That, in turn, cuts down on any attendant repair costs, since you’re only paying for the cost of labor and maybe a few ancillary components like bolts and screws. As long as the warranty is still in effect, repairs should be the go-to option over replacing the whole system. Even after the warranty has expired, repairs may still be the best option. That too, depends on cost, and as long as the repairs aren’t worth more than the system is worth, then they should still be your choice. Only when costs get too high and the warranty has expired should you replace your system. Assuming the warranty has expired and your system is having trouble, you need to ask yourself whether the costs involved are worth sinking into an older system, or whether that money might be better spent investing in a new system. The specifics usually boil down to one of two issues. The Cost of Repairs. Obviously, if a single repair problem costs more than you feel the system is worth, then you should think about replacement. In addition, if smaller repairs are becoming too frequent — if, say, you have to schedule more than two repair calls in a single twelve-month period — then it might be time to install a new system. Monthly Costs. As heating systems get older, wear and tear take their toll, and the system starts to cost more to run from month to month. Regular maintenance sessions can slow that process, but sooner or later, the cost of running the old heater is simply too high for your budget. When that happens, replacing the old system with a new one means enjoying vastly improved efficiency, which can give you a big break on those monthly costs. For heating repair and replacement services throughout Pasadena, CA, call on Greenleaf Heating & Cooling today!